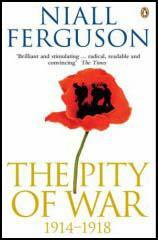 Over 1.65 million men in the British Army were wounded during the First World War. Of these, around 240,000 British soldiers suffered total or partial leg or arm amputations as a result of war wounds. Most of these men were fitted with artificial limbs. 7th December, 1915: I take over duty at the Batty position. About 2.30 Germans commenced shelling near battery. One shell hit the dugout of our telephone pit. I remembered no more until I woke up in Bethune Casualty Clearing Station No 33, where I have been severely wounded. Left hand blown off, left arm ripped up 12 inches. Scalp wound 6 inches, wound on side of knee (left) 5 inches. 9th December, 1915: Operation on upper arm for gangrene (successful). 12th December, 1915: Removed to St Omer No 10 Casualty Clearing Station by hospital barge. 29th December, 1915: I am sent to England on the hospital ship Dieppe, then by train to Nottingham. 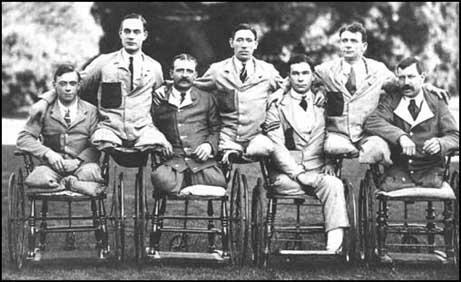 3rd June, 1916: Operated on and re-amputated in Brighton and awaiting Roehampton for artificial limb. (2) Lesley Smith worked as a VAD at the Royal Sussex Hospital in Brighton during the early stages of the First World War. Later she was posted to a field hospital on the Western Front. (5) Florence Farmborough disapproved of some methods used by the VAD nurses in Russia. I see our first man hit. He is a boy of nineteen years of age. A bit of stray high-explosive shell gets him in the leg. It was almost an accident, for had he left me five seconds earlier he would have missed it. White, calm, uncomplaining, he calls for a cigarette and is carried off on a stretcher by four stalwart veterans of the Rifle Brigade. He is never to return, for amputation follows. Such is war. Constant training for a whole year and then just one day in the line! This is attrition!